Interview with principal and founder of lighting design firm Gabriel Mackinnon. Having practiced architectural lighting design for more than 40 years, Philip Gabriel hasn’t just witnessed lighting’s evolution, he’s lived it. After working in New York for 10 years, he moved to Ottawa, Canada, and in 1974 established his firm, now known as Gabriel Mackinnon. 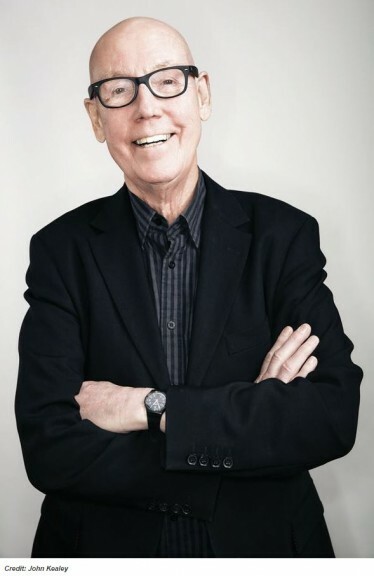 As a past president of both the International Association of Lighting Designers (IALD) in 1998–99 and the IALD Education Trust in 2007, he’s played an active role in helping to form lighting’s professional footprint. Conveying experience and knowledge to the next generation of designers has always been central to Gabriel’s approach; it’s evidenced in his own firm and in his partnership with Andrew Mackinnon. And ever the student himself, his commitment to lighting education has earned him the respect of his colleagues worldwide. What fascinates you about light? The way things are revealed by shadows and reflections, how light bounces through space. Are clients more sophisticated today? Twenty years ago the lighting designer was being hired by the architect. Now a lot of us are working for the end user or the person who hires the architects. They are signing the checks; it makes a huge difference. Do you have a lighting design philosophy? The best lighting solutions are the ones where the light reveals a space without drawing any attention to itself. It’s the idea that light itself is almost nothing. We see a source once in a while, but we don’t see the light. We see what the light does, what it reveals, and what it affects. A misunderstood aspect of lighting design? The role that lighting calculations serve. They are an important aspect of what we do, but very secondary to what we do with light in the space. As the world of semiconductors and electronics enters the arena, what will the lighting industry look like going forward? Change is inevitable as products become more “electronics” than “electrical.” Electronics being the products that are driven by chips. In the future, products may not have a wire and a plug, or be installed by a contractor. And the network of product distribution should radically change. What do you think new lighting technologies offer in terms of your ability to design? There’s so much emphasis and even infatuation with the light source that we tend to forget that it’s the light itself that we’re really interested in. Once it comes out of that source and begins to work with a space, all the design principles that we have been practicing still hold true. Read more one-on-one interviews with lighting industry leaders here.